Not everyone has the luxury to have their own bedroom…especially for families living in the city. Raising kids in a small apartment has its challenges. 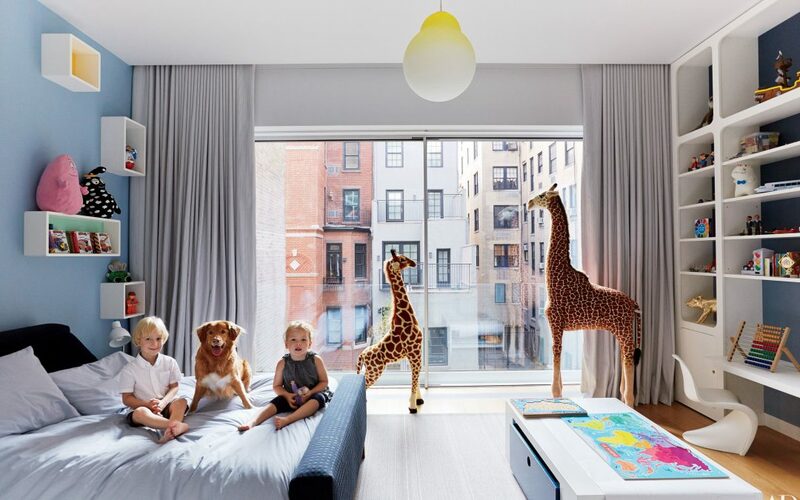 For one thing, the kids often have to share the bedroom to make the most out of the limited space. And kids being kids, the bedroom tends to be full of activities and needs that you need to take care of to maintain the peace… or your sanity! A gender-neutral color scheme is a great idea particularly for shared spaces between brothers and sisters. Choose a color scheme that everyone can agree on, which are typically the basics. Neutral tones are quite versatile; they will work for children’s room to match the rest of the house’s aesthetics. 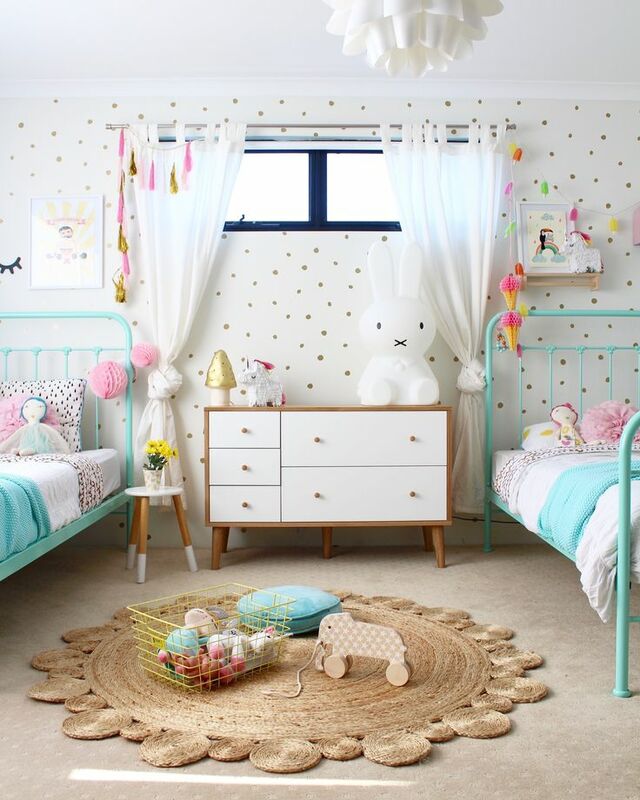 But if the kids love bright pops of color, use accent colors and patterns to liven up the children’s bedroom. The point is to choose a great base to build the room design on. Once the base is done, the kids can start customizing their respective spaces with accent colors, decors or accessories they like. 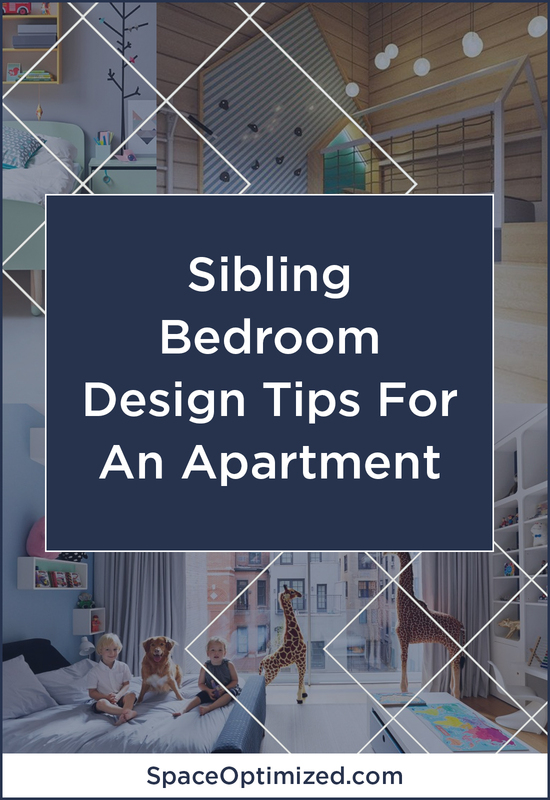 Creating personal spaces in a small apartment is one of the toughest challenges parents have to tackle when decorating a shared bedroom for the kids. Small kids aren’t all that bothered with the lack of privacy that comes with sharing a room but it’s a different story for older kids. When developing the design for the bedroom, you have to give each child a space to call his/her own. By giving private areas for each child, they are less likely to get on each other’s nerves. For families with 2 children sharing one bedroom, give each child his or her own bed. Same thing goes for other pieces of furniture, dresser, closet, blankets, bins, etc., give each child his own stuff. 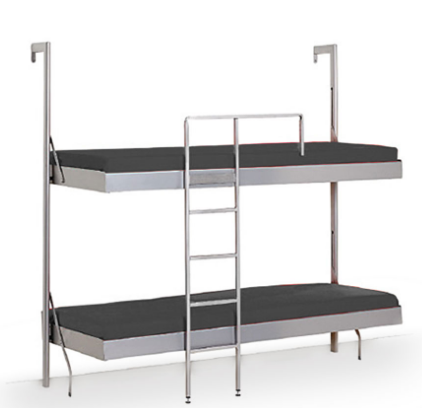 Depending on the size of the bedroom, you can get a couple of children’s bed or bunk beds. Bunk beds are a godsend for families living in a small apartment! 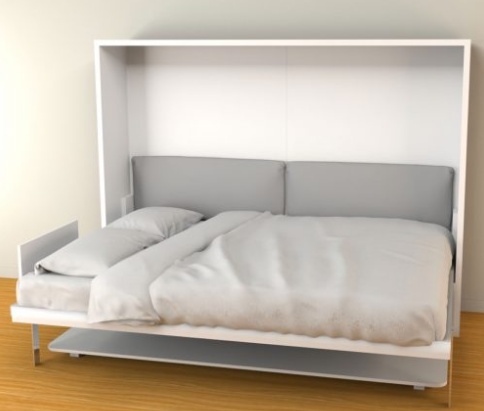 We’re digging Expand Furniture’s minimalist version of a children’s bunk bed called the Compatto. It’s sleek, simple, and teeming with intuitive features! I love the timeless design and the all-metal frame! The Compatto is the kind of bed that’ll last for years to come. The best part? 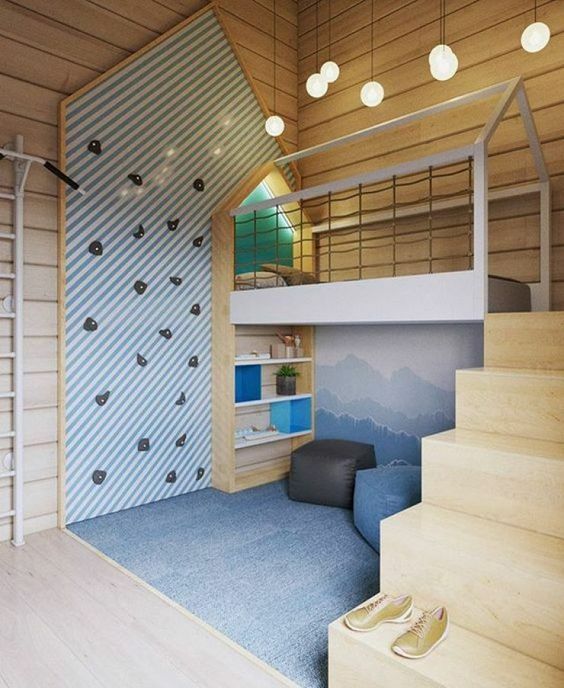 The bunk bed folds flat against the wall, allowing the kids to maximize the limited floor space with ease. Decorate each space according to the taste and temperament of each child. Separate each zone physically with a curtain, a bookcase, or a room divider. Make the most of the corners, especially for shared spaces to maximize the room. The bedroom should have shared zones too. This way, the kids could share activities together and bond. When it comes to designing a shared zone, you have to focus on a specific activity so the shared zones are relatively easy to organize. For example, a shared study, complete with little desks makes a great addition to a shared room between older kids. 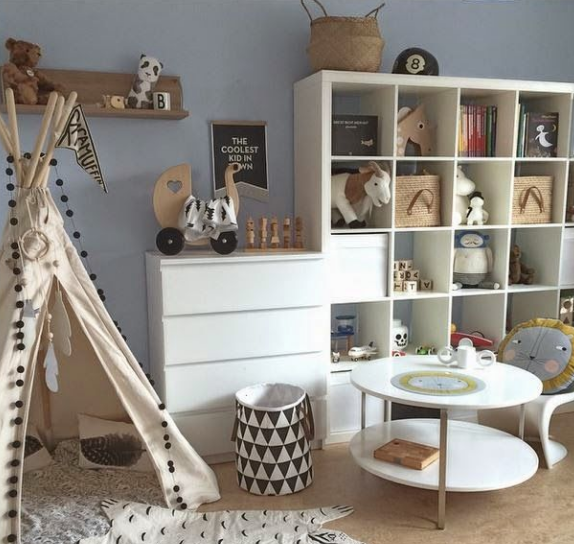 For smaller kids, opt for an art or play area. Unfortunately, not all children’s bedrooms have room to spare for a play or study area. If meager floor space is an issue, we highly recommend getting a shape-shifting, space-efficient pieces of furniture like the Hover Bed. The Hover bed is a contemporary wall-bed that pulls double duty as a work desk. This is a great solution for homes with limited vertical or length space. The design brings together form and function in one beautiful piece of furniture. Make the most out of the limited square footage of a small apartment by adding multi-purpose furniture in the children’s bedroom! The children’s bedroom is always buzzing with activity so accessorize accordingly. Start by choosing pieces of furniture that are appropriate for the kids’ ages. Avoid pieces that the children could outgrow easily. That’s just wasted space and money right there. A bunk bed with a built-in shelf is a great start. 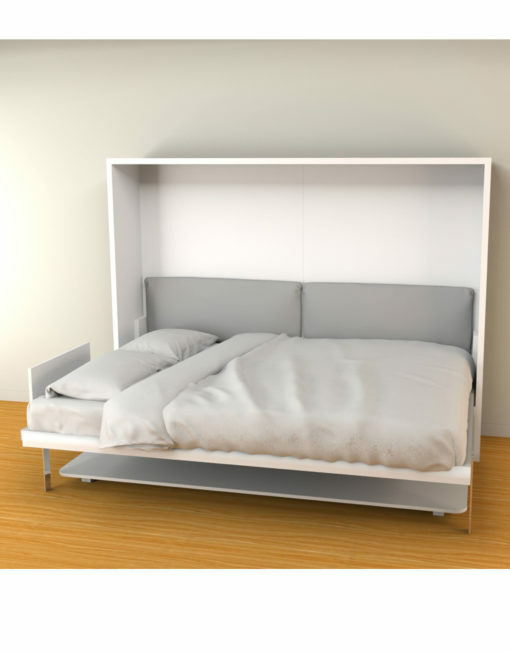 You can also get a twin bed with extra storage. A dresser that comes with a generous slice of surface space could be useful when organizing the children’s toys or displaying budding collections. 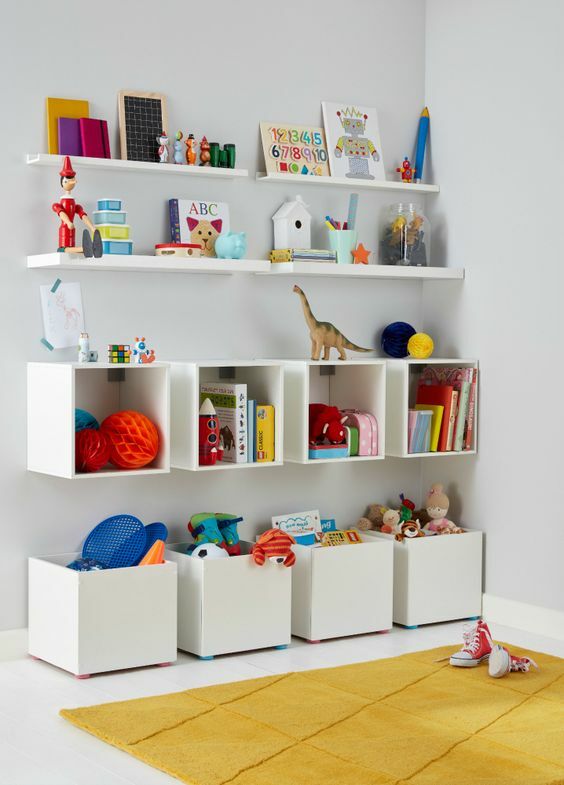 Bins that pull double duty as a toy organizer and laundry basket add functionality to the space. 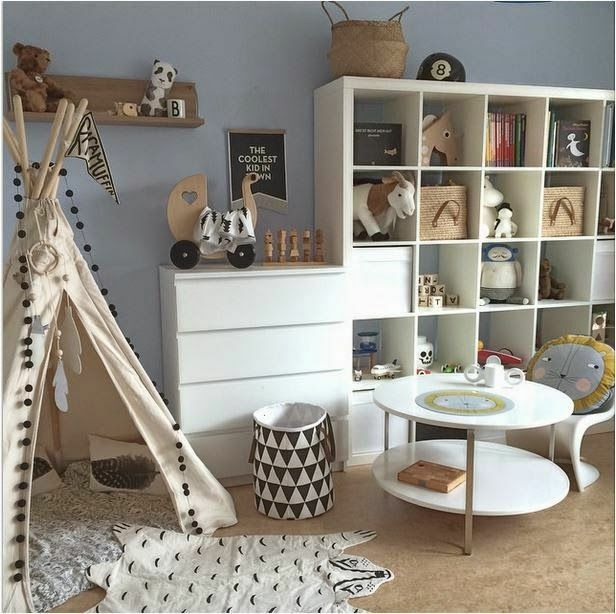 Whatever pieces of furniture you’d like to add to the children’s room, make sure these items are essentials. It’s better to save up on key pieces that the kids will use for years to come rather than splurge on items that they’ll outgrow in two years or so. 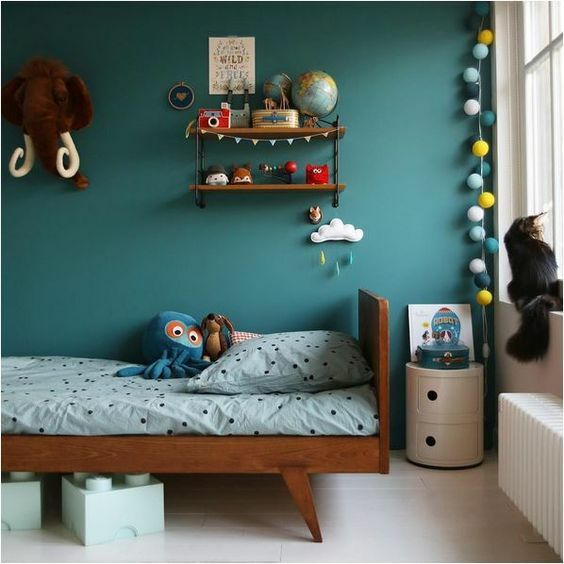 If there’s any room in your small apartment that’s in dire need of storage space, it’s the children’s bedroom. 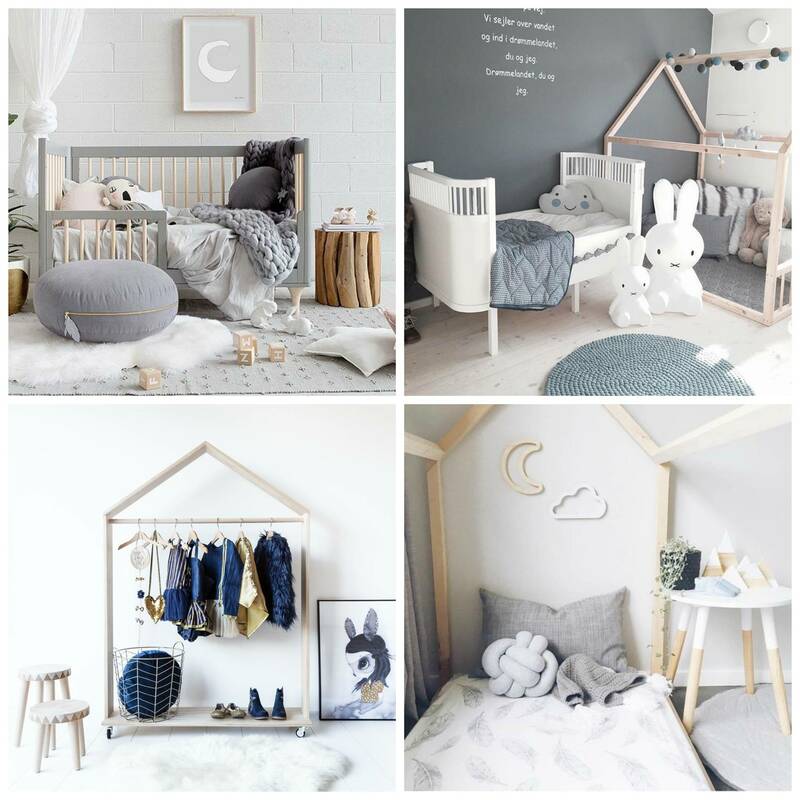 Since the children’s bedroom is always buzzing with activities, it can get chaotic really quickly if it lacks ample space for toys, books, and other knickknacks. Since the kids are sharing one bedroom, expect the mess to double up! 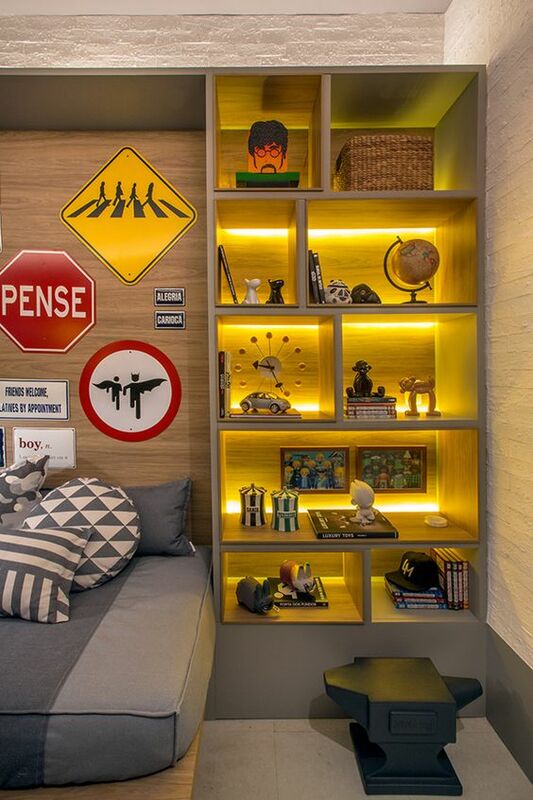 To maximize the space, organize all storage areas carefully. Any slice of blank space can be used as a storage space too. The space under the bed, the corners of the room, blank walls, etc., all these spots can be used as storage nooks. Installing shelves in the children’s bedroom is also a terrific way to maximize the blank wall space. You can install the shelves above the dresser, desk, or headboard. You can also place a small bookshelf or storage chest at the foot of the bed to increase the storage space. 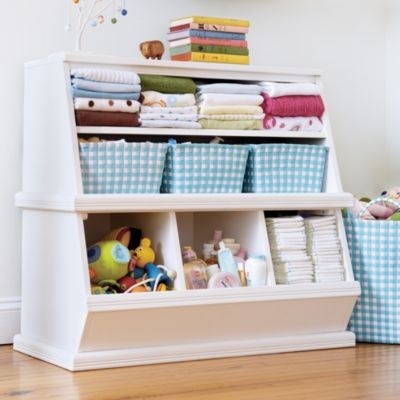 Large bins and baskets will get plenty of use in the children’s bedroom. They can be used to store toys and small items or collect dirty clothes. And speaking of clothes, install wall and door hooks so the kids have their own hanging spaces.